In what was a surprising turn of events for Monday’s possession order hearing at the Royal Courts of Justice, Justice Lang has postponed the hearing until 8 October. 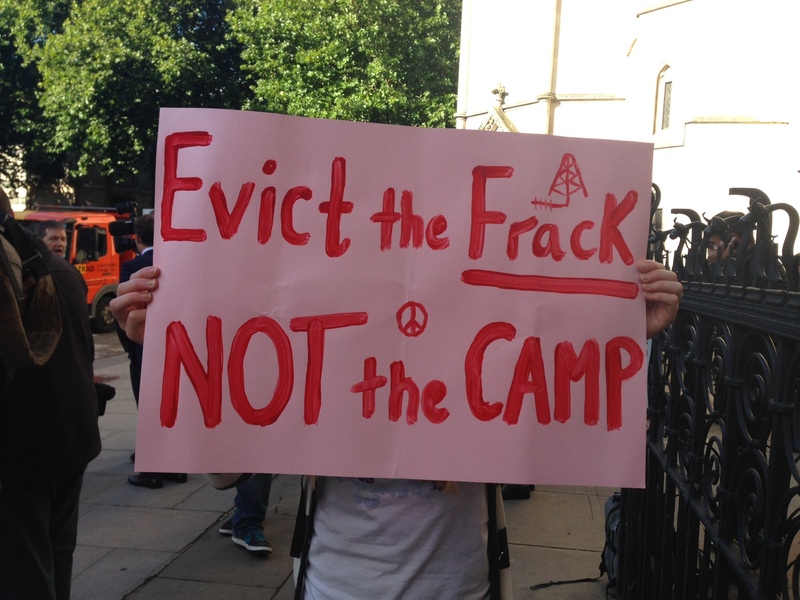 During the hearing, she said that West Sussex County Council’s application was flawed as it did not mention that the encampment outside of Cuadrilla’s Balcombe site was a protest. As such, to remove the camp before the drilling has ended would be an infringement on the protestor’s right to protest. West Sussex County Council will be required to either re-submit their application for a possession order or to withdraw it completely. So it looks like for the time being, the Balcombe Protection Camp can remain until the end of Cuadrilla’s drilling license! On 28 September, we will be supporting an event called “Clear Off Cuadrilla!“. The event marks the end of the energy company’s license but also is billed as a celebration for everything that the camp was able to achieve – namely making fracking and unconventional gas extraction a national debate and severely delaying Cuadrilla’s plans to the point that they now have to re-think their drilling strategy in the area. The celebrations starts from 11:00AM! We hope to see you there! Next postBeyond Balcombe: What Next in the Fight Against Fracking?